A premium, traditional Irish Red Ale. 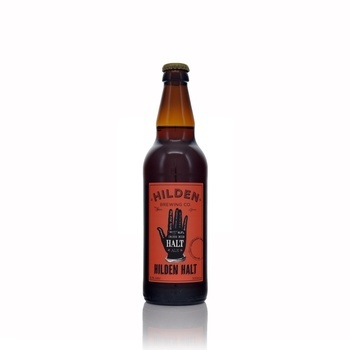 Hilden Halt has a malty, mild hop flavour and medium bitterness. This special reserve is named after the local train stop which used to service the old Barbour linen mill behind Hilden House. At a robust strength of 6.1% ABV Hilden Halt is the strongest ale from the company so be careful not to get derailed.